An enchanted Michigan Resort Island from which you won't want to leave! Stop at Cabela's the "Mans Paradise"
Everything you've heard about Mackinac Island is true. It's an enchanted Michigan resort island from which you won't want to leave - so we have included on night at the beautiful Island House right on the island this year - Wow! The Grand Luncheon Buffet at the majestic Grand Hotel is awesome and the scenery gorgeous - this is one our our most popular tours! Call Soon! 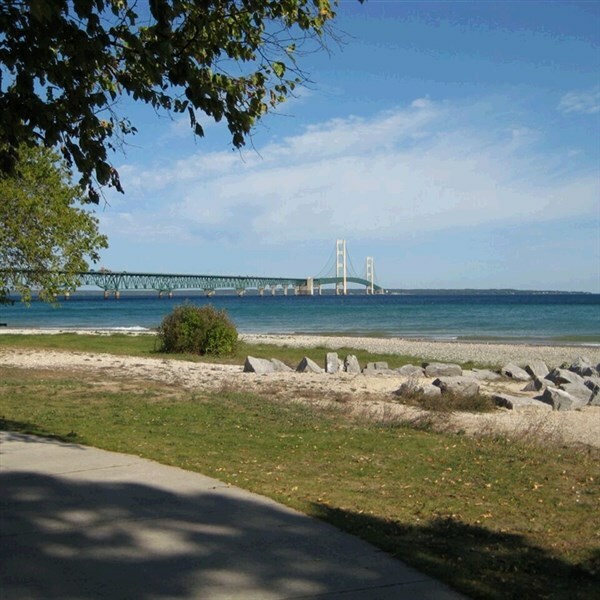 We'll travel northwest with time to get acquainted with our new travel friends and arrive in Mackinaw City late this afternoon. We will check into our waterfront hotel along the shores of the regal Lake Huron, the second largest of the Great Lakes and the third largest freshwater lake on earth. The rest of the evening is yours to do as you wish to enjoy this quaint town. There are many restaurants within walking distance for you to enjoy dinner on your own. Breakfast included at the hotel. We have an early start this morning as we cross the 5-mile Long "Mighty Mac" Bridge to St. Ignace and board the ferry to Mackinac Island. 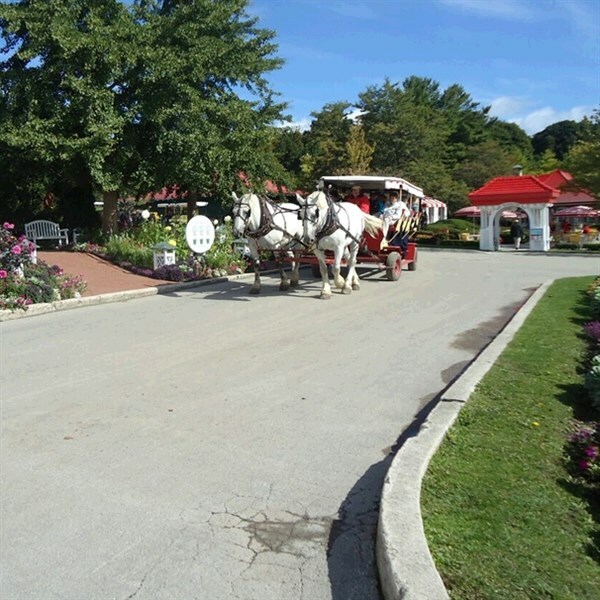 Horse-drawn carriages will be waiting our arrival to take us on a delightful, narrated tour of the island, including admission to Ft. Mackinac with time to explore this fascinating piece of history. (There are no motor vehicles permitted on the island - fun!) 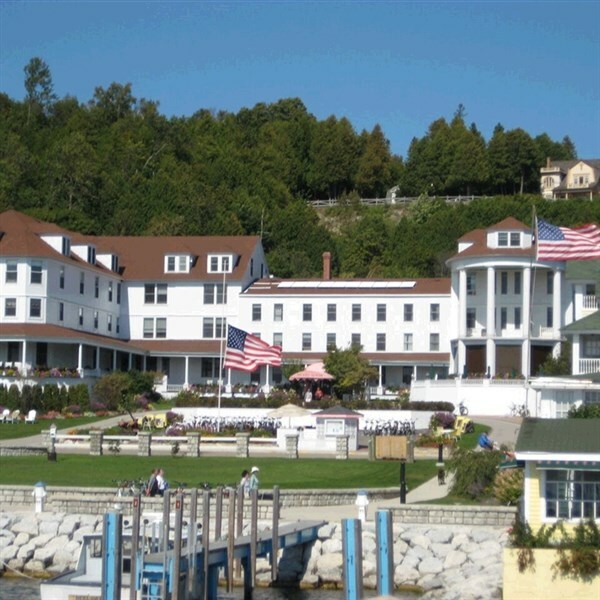 Then take an island "taxi" to the majestic 114-year old Grand Hotel, also called "The Crown Jewel of Mackinac Island" - for their fabulous Grand Hotel Lunch Buffet - this legendary spread is like nothing you've ever seen! The rest of the day is yours to enjoy the beautiful island as you wish. Our lodging tonight is at the historic and beautiful Island House which is a short walk to downtown. From your hotel location you can sit on the massive wrap-around porch, bask in the views of the water and enjoy your walking freedom to downtown to come and go as you please. Welcome to this enchanting island! Breakfast included at the hotel. This morning we depart our lovely island retreat and ferry back to the mainland. 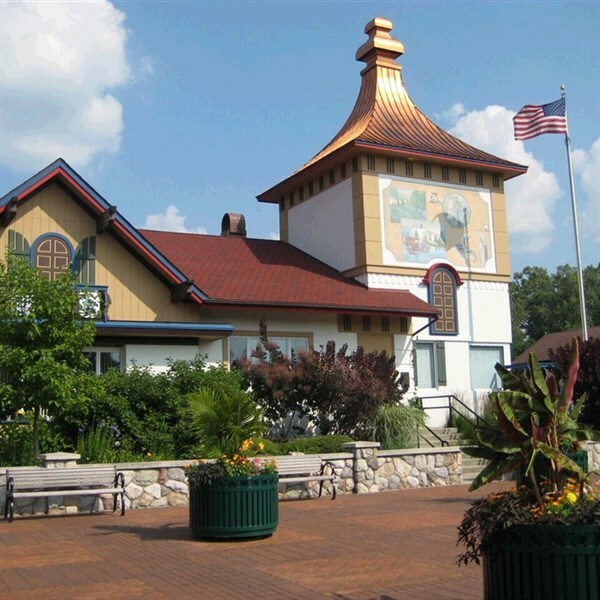 We journey to the quaint Bavarian village of Frankenmuth with a little time to enjoy this delightful area with delicious lunch included at the Bavarian Inn Restaurant filled with all their yummy trimmings which they are so well known for. This afternoon we continue our journey back home with the one last fun stop at Cabela's the "Man's Paradise." With rest stops and a dinner stop planned for your traveling comfort, we arrive back safe and sound to our hometowns. All-in-all, a wonderful opportunity to leave the rest of the world far behind and reel in the richness and charm of a bygone era.